In search of a plan - The conspiracy - Rasputin's hypnotic powers - The starets becomes confidential - He accepts my invitation to the Moika. Being convinced of the necessity for action, I discussed the matter with Irina and found she agreed with me completely. I imagined that it would be easy to find a few determined men ready to help me to find a way of eliminating Rasputin. The conversation I had on the subject with different influential persons left me with few illusions. The very men who were the most violent whenever the starets' name was mentioned became reticent at once when I told them the time had come to act. Fear of compromising themselves, and of disturbing the quiet tenor of their lives, turned them suddenly into optimists about Rasputin. But the President of the Duma, Rodzianko, was of a very different opinion: "What can one do when all the ministers and most of the people in close contact with His Majesty are the tools of Rasputin? The only solution is to kill the scoundrel, but there's not a man in Russia who has the guts to do it. If I weren't so old, I would do it myself." These words decided me; but how can one deliberately prepare to murder a man in cold blood? I have repeatedly stated that I am by nature a peaceful man. The very idea of spilling blood fills me with horror. Yet the more I thought about it the more convinced I was that I would have to conquer my personal feelings in this matter. During Dmitri's absence at Headquarters I saw a good deal of a certain Captain Sukhotin who had been wounded and was undergoing treatment in St. Petersburg. I confided in this trusted friend and asked if be would help me in my plan. He consented without a moment's hesitation. Our conversation took place on the day of Dmitri's return, and I saw him the day after: Dmitri made no secret of the fact that the idea of killing Rasputin had haunted him for months, but he had not yet found a way of doing it. He told me what a depressing impression he had got at General Headquarters. He was convinced that the drugs administered to the Tsar were paralyzing his will power, and were given with this intention. Dmitri was obliged to return to Headquarters shortly, but was certain he would not remain there long, as General Woeikoff, the Palace Commandant, seemed determined to keep him as far away from the Emperor as he could. Captain Sukhotin came to see me that evening. I told him of my conversation with the Grand Duke, and we immediately set about making a plan of action. It was agreed that the first thing for me to do was to get into closer contact with the starets and win his confidence, so that he himself should keep us informed of his intentions. We had not lost all hope of removing him by peaceful means, such as the offer of a huge bribe; but we had to decide on the method to use in case this failed and we were obliged to resort to violence. I proposed that we cast lots to decide which of us would shoot the starets. A few days later, Mlle G., the friend who had first introduced me to Rasputin in 1909 invited me to her mother's house to meet Gregory Efimovich, who wanted very much to see me again. Luck seemed to be on my side. I felt, however, a certain repugnance to deceiving Mlle G., for she could have no suspicion of my real motives in accepting her invitation. So the following day I went to the G.s' and arrived a few minutes before the starets. I found him much changed. He had become very fat and his face was puffy. He no longer wore a humble caftan but an embroidered blue silk blouse and full velvet breeches. His offensive familiarity and insolent assurance made him seem still more obnoxious than at our first meeting. On seeing me, he winked and smiled; then he came up to me and embraced me. I had difficulty in concealing my repugnance when he touched me. He seemed anxious about something, and walked nervously up and down the room. He asked several times whether anyone had telephoned for him; finally he sat down beside me and inquired about what I had been doing. He also asked when I was going to the front. I tried to reply politely, but his patronizing tone irritated me beyond words. Having found out all he wanted to know about me, Rasputin launched out into an incoherent speech about God and brotherly love. I attempted in vain to make some sense of it and wondered if there was anything personal in his sermon; but the more I listened the more obvious it became that he himself did not understand what he was saying. While he held forth, I watched Mme and Mlle G.'s attitude of pious veneration. They drank in every word he said, and for them it seemed to hold some profound mystical meaning. As Rasputin was fond of saying that he had the gift of curing all diseases, I thought it would serve my purpose to ask him to try his talents on me. So I talked about my health, complaining of an intense fatigue which the doctors seemed powerless to relieve. "I'll cure you," be said. "Doctors don't know anything... My dear fellow, I can cure anyone, for I work in God's own way, with divine remedies and not with ordinary drugs. You'll see for yourself." At that moment, the telephone rang: "It's for me," he said; "go and see what it's about." The order was given to Mlle G., who rose obediently without showing the least surprise at his imperious tone. He was right, the telephone message was for him. He hung up and, looking much perturbed, left in a hurry. I decided not to attempt to see him again until he himself invited me. I did not have long to wait. That same evening, Mlle G. sent me a note conveying Rasputin's apologies for leaving so abruptly. She asked me to come back the next day and to bring my guitar, at the starets' request, for he had been told that I sang and he wanted to bear me. Once again I was the first to arrive. I took the opportunity to ask Mlle G. why he had left so hurriedly the day before. "Because he was told that an important affair was shaping badly. But," she added quickly, "everything has been put right. Gregory Efimovich flew into a rage, he had to do a great deal of shouting; then they were scared over there and gave in." "Where is 'over there'?" I asked. Mlle G. hesitated but ended by unwillingly replying: "At Tsarskoe Selo." I learned finally that the business which had upset the starets so much was the nomination of Protopopov as Minister of the Interior. Rasputin's faction wanted Protopopov to have this post at all costs, while others advised the Tsar against it. It sufficed for the starets to go himself to Tsarskoe Selo to achieve success. Rasputin arrived in excellent spirits, and very communicative: "Please forgive me for my behavior yesterday, dear boy," be said to me. "What could I do? The wicked must be punished, and they have become very numerous of late." He then addressed Mlle G.: "I have settled everything, I had to go myself to the palace. When I reached it, I found myself face to face with Anouchka. (*Anna Vyrubova) She did nothing but whimper and repeat over and over again 'We have failed, Gregory Efimovich, you are our only hope. Thank Heaven you've come!' I was received at once. She was in a bad temper, he strode up and down the room. I raised my voice and they calmed down at once, particularly when I threatened to go away and leave them to their fate; they then agreed to everything." We went to the dining room. Mlle G. poured out tea and offered Rasputin an assortment of cakes and dainties. "See how good and kind she is," he said, "she always thinks of me. And have you brought your guitar?" "Yes, I have it here." "Very well then, sing, and we'll listen to you." Making a great effort to control myself, I took up my guitar and sang a gypsy ballad. "You sing very well," he said; "you sing with a great deal of feeling. Sing something else." I sang some more songs, some gay, some sad. Rasputin begged me to continue. "I see you like my singing," I said, "but you have no idea how ill I feel. It's not that I am lacking in energy, I am not afraid of work, but my health does not improve, in spite of the doctors." "I will put you right in no time. We will go and hear the gypsies together, and your complaint will vanish as if by magic." I laughed and answered: "I've been there many times and never felt any the better for it." Rasputin also laughed. "It's quite another matter, my dear boy, if you go there with me. You'll have a much better time when I am with you. Come along, you'll see that everything will be splendid." He then told me, in much detail, how be spent his time when he went to see the gypsies, how he sang and danced with them. Mlle G. and her mother looked very uneasy. The starets' uncalled-for frankness embarrassed them. "Don't believe a word of it," they said; "Gregory Efimovich is joking, and inventing tales about himself." This attempt to defend his reputation put Rasputin in such a rage that he banged on the table and started to scold the two ladies violently. They said no more. Then, turning to me, Rasputin said: "Well, are you coming with me? I tell you that I can cure you ... you'll see; you'll be grateful to me later on; we'll take her with us." Mlle G. blushed; her mother protested. "What's the matter with you, Gregory Efimovich?" she asked nervously. "Why do you say such dreadful things about yourself, and why bring my daughter into it? She wants to pray with you, and you want to take her to the gypsies. It's wrong to talk in such a way..."
"What on earth is the matter with you?" asked Rasputin, giving her an ugly look. "Don't you know one can go anywhere with me without sinning?" He turned to me again: "As for you, dear boy, don't listen to her, do as I say and everything will be all right." The idea of paying the gypsies a visit did not suit me at all, but, not wishing to refuse outright, I replied that I was one of the Corps des Pages and that such places of amusement were out of bounds. Rasputin insisted; he said that I could disguise myself, and assured me that no one would hear of the outing. But I replied evasively and promised to telephone him later. On bidding me good-by be said "I want to see you often. Come to tea with me. But let me know beforehand." And he slapped me on the shoulder several times with great familiarity. My intimacy with Rasputin - so indispensable to our plan increased each day. But what an effort it was! I felt polluted every time I met him. I telephoned that same evening to tell him that it was impossible for me to visit the gypsies as I had to pass an examination the next day, and had to prepare for it. This was perfectly true and I had to cancel all my social engagements for the time being. Some days later, I met Mlle G. "Aren't you ashamed of yourself?" she asked. "Gregory Efimovich is still expecting a visit from you." I accepted her invitation to go to see the starets with her on the following day. When we reached the Fontanka Canal, we left the car at the corner of Gorokhovaia Street and walked to number 64 where Rasputin lived. This was a necessary precaution for anyone who wished to avoid attracting the attention of the police who watched his house. Mlle G. told me that the policemen who guarded the starets were posted on the main stairs, so we took the back stairs to reach his flat. Rasputin himself opened the door: "Ah, here you are at last!" he exclaimed on seeing me. "I was beginning to feel really annoyed with you: I've been expecting you for several days." He led us through the kitchen to the bedroom; it was small and very simply furnished. In a corner, close to the wall, was a narrow bed with a red fox bedspread, a present from Anna Vyrubova. Near the bed was a big chest of painted wood; in the opposite corner were icons before which burned a small lamp. Portraits of the Tsar and Tsarina hung on the walls along with crude engravings representing Biblical scenes. We went from there to the dining room where tea was waiting for us. Water was boiling in the samovar; on the tables were a number of plates filled with biscuits, cakes and nuts; glass bowls contained jam and fruit and other delicacies; in the center stood a great basket of flowers. The furniture was of massive oak, the chairs had very high backs, a bulky dresser full of crockery took up most of one wall. There were a few badly painted pictures, and a bronze chandelier with glass shades lighted the table. The flat had an air of middle-class solidity. Rasputin served tea; conversation flagged at first - we were constantly interrupted by telephone calls and by the arrival of visitors who were received in the next room. This incessant coming and going seemed to annoy him. During one of his absences a great basket of flowers was brought into the dining room; a note was pinned to it. "Is that for Gregory Efimovich?" I asked Mlle G.
She nodded. Rasputin came back shortly and, without a glance at the flowers, sat down by me and poured himself some tea. "Gregory Efimovich," I remarked, "you are given flowers, like a prima-donna." He laughed: "Silly creatures these women, silly creatures who spoil me.. They send me flowers every day, they know I like them." He then said to Mlle G.: "Go into the next room for a while, I want to talk to him." She rose obediently and left the room. When we were alone, Rasputin drew his chair closer to mine and took my hand in his: "Well, my dear boy, how do you like my flat? Come to see me oftener, it will do you a world of good." He stared intently at me: "Don't be frightened of me," he continued in a caressing voice, "you'll see what kind of a man I am when you know me better. I am all-powerful. Papa and Mamma listen to me, so you should listen to me too. I'm going to see them this afternoon, and I'll tell them you had tea with me. They'll be so pleased." 1 much disliked the idea of the Tsarina being told of my visit to Rasputin. I knew that she would immediately tell Anna Vyrubova of my newly made friendship with Rasputin, and that this would seem suspicious to her. Anna knew my opinion of the starets only too well, for I had discussed him with her. "Listen, Gregory Efimovich," I said, "it might be better if you didn't mention it. If my parents knew that I came here they would be annoyed, and I want to avoid that at all costs." Rasputin agreed with me and promised not to say anything. He began to talk politics, and criticized the Duma: "They spend their time slandering me, and that distresses the Tsar. But they won't do it much longer. I'll soon have the Duma dissolved and send its representatives to the front. Then they'll see where their gossiping led them, and they'll remember me." "Tell me, Gregory Efimovich, are you really powerful enough to dissolve the Duma? How would you go about it?" "Why, my dear fellow, it's perfectly easy; when you become my friend and ally, you'll be told everything. For the time being, I'll tell you this much: the Tsarina has a wise, strong mind and I can get anything and everything from her. As for him, he's a simple soul. He was not cut out to be a sovereign; he is made for family life, to admire nature and flowers, but not to reign. That's beyond his strength. So, with God's blessing, we come to his rescue." Controlling my irritation, I asked him in the most natural way whether be was sure of his associates: "How can you tell, Gregory Efimovich, what those people want of you, and what their aims are? Supposing they had criminal intentions?" Rasputin smiled indulgently: "So you want to teach the good Lord what he should do? He hasn't sent me to help the Lord's Anointed in vain. I can't say it often enough: they would all have died if I hadn't been there. I stand on no ceremony with them; if they don't obey implicitly, I bang on the table with my fist, get up and go. Then they run after me, imploring: 'Don't go, Gregory Efimovich, we'll do anything you wish, so long as you don't forsake us.' And that's why, my dear fellow, they love and respect me. The other day, I talked to him about someone who should be given a post, but he keeps on postponing the nomination. So I threatened to leave them: 'I'll go to Siberia,' I announced, 'and you'll stay here and rot all by yourselves. You'll lose your son through your own fault if you turn away from God, and then you'll fall into the clutches of the devil.' That's the way I speak to them; but I haven't finished my work. There are still a lot of bad people about them who spend their time whispering in their ears that Gregory Efimovich is a wicked man who works for their downfall... It's ridiculous. Why should I want to ruin them? They are good and pious." "Gregory Efimovich," I answered, "the fact that the Emperor and Empress trust you isn't enough. Surely you know what's said about you? You are most severely criticized in Russia, and even abroad the newspapers write about you disparagingly. That's why I believe if you really loved the Imperial family you'd go away forever. Otherwise, who knows? Someone might do you grievous harm." "No, no, my dear boy, you talk like this because you know nothing about it. God would not allow such a thing to happen, for it has pleased Him to send me to help them in their difficulties. I don't care what a lot of nincompoops write and say, I scorn them, they're only harming themselves." Rasputin rose and walked about nervously. I watched him intently; he had become gloomy and anxious. Suddenly he leaned toward me, and gave me a long searching look. I turned as cold as ice, for I felt the tremendous power of his gaze. Without taking his eyes off me, he lightly ran his hand over the nape of my neck and, in a soft insinuating voice, asked me if I would have a glass of wine. I accepted and he fetched a bottle of Madeira, filled a glass for himself, another for me, and drank to my health: "When will you come to see me again?" he asked. At that moment, Mlle G. came in and reminded him that it was time he went to Tsarskoe Selo. "And here I've been gossiping! I'd completely forgotten that they're waiting for me there. Anyway, there's no great harm done ... it's not the first time it's happened. Sometimes they ring me up on the telephone, I'm sent for, and I don't go. Later on, I turn up unexpectedly. Then they're overjoyed! My visits are all the more appreciated." He added: "Well, good-by, my dear boy." Then, turning to Mlle G., he said, pointing at me: "He's intelligent, ligent, most intelligent, provided his mind doesn't get warped. If he continues to obey me, everything will be all right. Isn't it so, my child? Make it clear to him, so he'll understand ... Well, good-by, come and see me again." He embraced me. As soon as he had left, Mlle G. and I made our way out down the back stairs. "There's such a comfortable, easy atmosphere at Gregory Efimovich's," she remarked. "In his presence all the worries and troubles of this world arc forgotten. Don't you think so? He has the gift of making one feel serene and peaceful." I did not want to contradict her. But I gave her a hint: "Gregory Efimovich would do well to leave St. Petersburg as quickly as possible." "Why?" "Because someone will end by murdering him. I'm quite sure of this, and I advise you to exert your utmost influence to make him realize that he's in danger. He must go away." "Oh no!" She looked terrified. "Such a thing will never happen. .God would not allow it. Do you realize that he's our only consolation, our only help? How right the Empress is to believe that as long as he stays here nothing can happen to her son. Gregory Efimovich says so himself: 'If I am killed, the Tsarevich will die.' Several attempts have been made on his life, but God has kept him safe. He has become very wary now, and he is so carefully guarded that there's no reason to fear for him." We had reached the G.s' house. "When shall I see you again?" asked Mlle G. "Telephone me after you have seen him again." I was anxious to hear what impression our conversation had made on Rasputin, All hope of his leaving without our having to resort to violence now seemed vain. He knew his power and believed himself absolutely safe. The idea of a bribe had to be abandoned, for he obviously had ample means, and if it was true that he was working for the Germans (even though he was perhaps only half aware of the fact), he could get infinitely larger sums from them than any we could offer him. My military training at the Corps des Pages left me very little free time. I went home tired but could not rest; I was possessed by the haunting memory of Rasputin. I tried to weigh up his responsibility; in my mind's eye I pictured the monstrous plot against Russia of which he was the moving spirit. Did he realize what he was doing? The idea harassed me; for hours on end, I went over everything I knew about him, trying to understand the contradictions in his character and to find excuses for his infamous behavior. Then once again a flood of indignation swept over me as I remembered his licentiousness, his incredible unscrupulousness and, above all, his abominable hypocrisy toward the Imperial family. Gradually, however, a clearer, simpler picture of Rasputin took shape in my mind. He was just an uncultured, cynical, avid and unscrupulous peasant who had reached the pinnacle of power owing to a chain of circumstances. 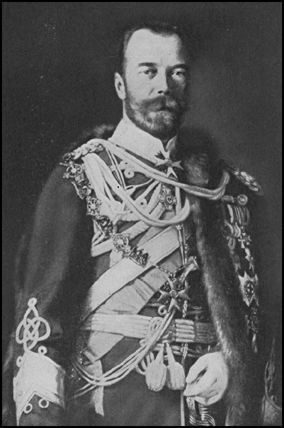 His boundless influence over the Tsar and Tsarina, the adoration of his female admirers, his continual orgies and the idleness in which he lived and to which he was not accustomed, had completely destroyed what good remained in him. But who were the people who so skillfully exploited and directed him from a distance, without his being aware of it? It is most improbable that Rasputin knew the real intentions of his masters, or even their true identity; he rarely remembered the names of the people he saw, and was in the habit of giving each one a fancy nickname. In one of our later conversations, alluding to his mysterious friends, he called them "the greens." It is likely that he had never even seen them and only communicated with them through a third person.. " 'The greens' live in Sweden; you shall go there to meet them," he said. "But aren't there 'greens' in Russia too?" I asked. "No, just the 'greenish,' who are friends of theirs and of ours. They are intelligent people." A few days later, Mlle G. telephoned that the starets had invited me once more to visit the gypsies with him. I again gave my examinations at the Corps des Pages as an excuse for declining the invitation, but added that if Gregory Efimovich wished to see me I would go to his house for tea. I went there the next day. He was in a particularly jovial mood and I reminded him of his promise to cure me. "Oh, you'll see, it will only take a few days," be said. "But let's have a cup of tea first, then we'll go to my study where no one will disturb us. I shall pray to the Lord and then rid your body of disease. just obey me, my dear boy, and you'll see, all will be well." After tea, Rasputin took me into his study for the first time; it was a small room furnished with a sofa, a few leather armchairs and a large table littered with papers. The starets made me lie down on the sofa. Then, staring intently at me, be gently ran his hand over my chest, neck and head, after which he knelt down, laid both hands on my forehead and murmured a prayer. His face was so close to mine that I could see only his eyes. He remained in this position for some time, then rising brusquely he made mesmeric passes over my body. Rasputin had tremendous hypnotic power. I felt as if some active energy were pouring heat, like a warm current, into my whole being. I fell into a torpor, and my body grew numb; I tried to speak, but my tongue no longer obeyed me and I gradually slipped into a drowsy state, as though a powerful narcotic had been administered to me. All I could see was Rasputin's glittering eyes: two phosphorescent beams of light melting into a great luminous ring which at times drew nearer and then moved farther away. I heard the voice of the starets but could not understand what he said.. I remained in this state, without being able to cry out or to move. My mind alone was free, and I fully realized that I was gradually falling into the power of this evil man. Then I felt stirring in me the will to fight his hypnosis. Little by little the desire to resist grew stronger and stronger, forming a protective armor around me. I had the feeling that a merciless struggle was being fought out between Rasputin and me, between his personality and mine. I knew that I was preventing him from getting complete mastery over me, but still I could not move: I had to wait until he ordered me to get up. Soon I was able to distinguish his silhouette, his face and eyes; the dreadful ring of light had entirely disappeared. "That's enough for the present, my dear boy," said Rasputin. Although be watched me closely, he did not realize that he could not read all my thoughts; my resistance to his hypnotic power had escaped him. A satisfied smile lit up his face, and the assurance in his voice betrayed his conviction that he had got me in his power. He pulled me roughly by the arm; I sat up, but my head swam and my whole body felt weak. I managed to get to my feet and take a few steps, but my legs felt paralyzed and refused to obey me. Rasputin continued to watch all my movements. "It's God's grace," be said finally, "you'll soon notice how much better you are." As I said good-by he made me promise to come back soon. After this experiment in hypnotism, I went to see Rasputin very often. The "cure" was continued, the starets' confidence in his patient increased. "Really, you have a great deal of common sense, my dear boy," he declared one day. "You understand everything right away. I'll have you appointed minister, if you like." The offer took me aback; I knew how easy it was for him to carry out his promise, and I was horrified at the thought of being known as the protege of such a man. I laughed and answered: "I'll give you my help willingly, but please, never dream of making a minister of me." "Why do you laugh? Perhaps you think I can't do what I say? I can do anything and everything I like, and everyone obeys me. You'll see. You'll be made a minister." He spoke with such assurance that I felt extremely uneasy. I could already imagine the general astonishment when the appointment was announced in the newspapers. "I beg of you, Gregory Efimovich, do nothing of the sort. What kind of a minister would I make, anyway? And what's the use? It would be far better for me to help you secretly." "Perhaps you're right," replied Rasputin, "have it your own way." 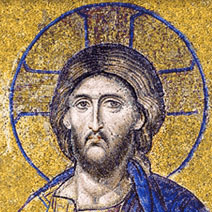 He continued: "It isn't everybody who thinks as you do; most people who come to me say 'Do this for me, do that for me.' Everybody wants something." "And how do you fulfill these requests?" "I send them to a minister or some other influential person with a personal note. Sometimes I send them directly to Tsarskoe Selo. That's how I hand out appointments." "And the ministers obey you?" "Every one of them!" cried Rasputin. "They all owe their positions to me. How could they disobey me? They know very well that if they don't obey me, they'll come to a bad end.. ." After a moment's silence he continued: "Every one of them without exception is afraid of me. All I have to do to enforce my will is to bang my hand on the table. That's the way you aristocrats should be treated. You're filled with envy because I walk about the palace in great clumsy boots. Every one of you is a mountain of pride, and it's pride, my dear boy, that breeds sin. If you wish to please God, you must, above all, stifle any feelings of pride." Rasputin burst into cynical laughter; he was tipsy and in a confidential mood. He went on to disclose his method for fighting pride. "And that's that, my dear fellow," he continued, smiling strangely. "Women are worse than men and have to be dealt with first. Yes, this is how I proceed: I take all the ladies to the public baths, I just say: 'And now undress and wash the moujik.' If they put on airs, I have a good way of convincing them and ... they soon swallow their pride." I listened in horrified silence to the abominable account which followed, the details of which are impossible to repeat. I was afraid to interrupt him, and, as he talked, he emptied glass after glass. "But why aren't you drinking?" he asked. "Are you afraid of wine? Yet it's the best of medicines; it cures every ill and isn't made up in a drugstore. It's a Godgiven remedy to strengthen body and soul. Wine makes me conscious of the tremendous power the Lord has bestowed on me. And, by the bye, do you know Badmaiev? There's a real doctor for you, who knows how to make up his own remedies. As for fellows like Botkin and Derevenko, (*Physicians of the imperial family.) they know nothing. Badmaiev uses herbs provided by nature herself; they can be found in forests, in fields, on mountains ... God makes them grow, that's why they have divine properties." "Tell me, Gregory Efimovich," I asked with some trepidation, "aren't the Tsar and the Tsarevich treated with these herbs?" "Most certainly they are. She herself and Anouchka see to it, but they are afraid that Botkin will hear of it. I tell them constantly: 'If one of your doctors ever hears about my remedies, it will go very badly for the patient.' So they take great precautions." "What kind of medicine do you give to the Emperor and the Tsarevich?" "All kinds, my dear fellow. The Emperor is given a tea which causes divine grace to descend on him. His heart is filled with peace, everything looks good and cheerful to him. And anyway," continued Rasputin, "what kind of a Tsar is he? He's just a child of God. But you'll see how we'll settle things later on. Everything will be for the best then." "What do you mean, Gregory Efimovich? What will be for the best?" "You are too inquisitive, you want to know everything ... when the time comes, you shall know it all." I had never seen Rasputin so communicative. Obviously, so much wine had loosened his tongue. I wanted to seize this opportunity to learn as much as possible about the plots that were being hatched. I then suggested that we should go on drinking. For a long time we silently filled our glasses. Rasputin drained his at a gulp, while I only pretended to drink. After finishing a bottle of very heavy Madeira, he staggered to the sideboard to fetch another one. I filled his glass and feigning to replenish mine took up the conversation where we had left it: "Gregory Efimovich, do you remember having said some time ago that you wanted me for an ally? I'll help you with pleasure, but you must tell me more about your plans. You've just said that there will soon be more changes; but when will that be? And why don't you tell me about them?" "When we've settled this matter, we'll make Alexandra regent during her son's minority. As for him, we'll send him to Livadia for a rest. He'll be glad to go, he's worn out and needs a rest. Down there, at Livadia, with his flowers, he'll be closer to God. He has enough sins on his conscience to atone for. A whole life of prayer wouldn't be enough to atone for this war. The Tsarina is a very wise woman, a second Catherine the Great. Anyway, she's been running everything lately, and, you'll see, the more she does, the better things will be. She's promised to begin by sending away all those chatterboxes at the Duma. May they go to the devil! Look at them, they have decided to rebel against the Lord's Anointed. Well, we'll give them a sound drubbing. They should have been sent packing long ago. All those who have found fault with me and complained will come to a bad end." Rasputin grew more and more excited. Under the influence of the wine, he forgot to keep a watch over his tongue. "I'm like a hunted animal," he said. "All the aristocrats want to destroy me because I stand in their way. On the other hand, the masses respect me because in spite of my caftan and heavy boots I've managed to become the Sovereign's adviser. It's God's will. God has given me this power. I can read men's most intimate thoughts. You have common sense, you will help me. I can arrange for you to meet certain people ... it will bring you a lot of money. But perhaps you don't need it, perhaps you're richer than the Tsar himself. Well, you can give the money to the poor! Everyone is the happier for a few extra pennies." The bell pealed violently; Rasputin jumped. Obviously he expected someone, but being engrossed in our conversation he had completely forgotten the appointment. Now that he was brought back to earth, he seemed afraid that the newcomers might see me in his house. He jumped up, took me to his study and hastily went out leaving me there alone. I heard him staggering to the front door. On his way, he bumped into some object which fell to the ground, at which he let out an oath. His legs may have been shaky but his head was perfectly clear. I heard the newcomers' voices in the dining room. I strained my ears, but the conversation went on in such a low tone that it was impossible for me to catch what was said. The dining room was separated from the study by a narrow passage. I softly half-opened the door; that of the dining room was ajar so I could see the starets in the seat which he had occupied during our conversation a few moments before, surrounded by seven shady-looking men. Four of them were of a distinctly Jewish type, the other three were fair and curiously alike in appearance. Rasputin talked briskly, his visitors took notes, held whispered consultations and occasionally laughed. They looked like a group of conspirators. An idea crossed my mind: could these be the "greenish" mentioned by Rasputin? The more I examined them, the more certain I became that I was looking at a gang of spies. I drew away from the door in disgust; I longed to flee from that cursed place, but it was impossible to leave the room unnoticed, as it had only one exit. After what seemed an eternity, Rasputin reappeared; he was very cheerful, and seemed very pleased with himself. Feeling that I could not longer control my repulsion for him, I quickly said good-by and fled from the house. It seemed as though fate had led me to him so that I could see for myself his evil, destructive role. So, why wait? To spare his life only meant increasing the number of war victims and prolonging the country's miscry. Was there a single honest man in Russia who did not sincerely wish for his death? It was no longer a matter of knowing whether Rasputin ought to disappear, but only whether I was the right person to kill him. Our first plans to kill him in his flat bad to be abandoned. In the middle of a war, at a time when a great offensive was being prepared, when people's nerves were strung to breaking point, to assassinate Rasputin openly might have been interpreted as a demonstration of hostility against the Imperial family. Rasputin had to be made away with secretly, without anyone knowing the circumstances of his death or the names of those who brought it about. I imagined that Maklakov and Purishkevitch, who had violently attacked the starets in the Duma (I had heard them myself) would be disposed to advise and perhaps help me. I resolved to call on them, for it seemed important that members of all classes should participate in this momentous affair. Dmitri belonged to the Imperial family, I was a member of the nobility, Sukhotin was an officer; I would have liked a politician, someone from the Duma, to join us. I first went to see Maklakov. Our conversation was brief. I disclosed my scheme in a few words and asked for his opinion. Maklakov avoided giving me a direct answer. His indecision and distrust were shown clearly enough by the following question: "Why did you come to see me, particularly?" "I have attended sessions in the Duma, and I heard your speech." I was convinced that in his heart of hearts he approved of my intentions, but his attitude disappointed me. Did he lack confidence in me, or was he afraid of being embroiled in a dangerous adventure? No matter what the reason, I quickly realized he was not to be counted on. Purishkevich gave me a very different reception. I had barely time to tell him of my intentions concerning Rasputin when he assured me of his co-operation with his usual ardor and warmth. But he thought it his duty to warn me that Rasputin was well guarded, and that it would be difficult to get into contact with him. "That's already done," I remarked. I then described my visits to the starets, and our conversations, I also spoke to him about the Grand Duke Dmitri, Captain Sukhotin and my visit to Maklakov. The latter's reticence did not surprise him, but he promised to speak to Maklakov and try to induce him to join us. Purishkevich was also of the opinion that Rasputin should be done away with secretly.. At a meeting with Dmitri and Sukhotin, we decided that poison was the surest means of killing him without leaving any trace of murder. Our house on the Moika was chosen as the place of execution; I was fitting up an apartment in the basement which lent itself admirably to the accomplishment of our scheme. This decision at first gave me a feeling of disgust: the prospect of luring a man to my house to kill him horrified me. No matter what the man was, I could not bring myself to plan the murder of a guest. My friends shared my scruples but, after lengthy discussions, we decided to abide by our plan: our country had to be saved at all costs, even by doing violence to our most sacred feelings. We accepted a fifth accomplice, proposed by Purishkevich, namely the doctor of his military detachment, Dr. Lazovert. We agreed to give Rasputin a sufficient dose of cyanide of potassium to kill him instantly, I was to remain alone with him while he was in my house. The others would stand by, to come to my hel in case of need. But no matter what were the consequences of our act, we resolved never to disclose our participation in Rasputin's murder. A few days after this meeting, Dmitri and Purishkevich both left for the front. While awaiting their return, I went back to see Maklakov on Purishkevich's advice. I was agreeably surprised by the change in his attitude. He approved of our plan, but when I proposed that he should join us, he replied that he would probably have to go to Moscow on important business about the middle of December. In spite of this, I unfolded our plan in detail. He listened with the greatest attention ... but gave no signs of wishing to take an active part in our conspiracy. As I left, he wished me good luck and presented me with a rubber club: "Take it, one never knows," he said with a smile. Each time I went to see Rasputin I loathed myself; these visits had become an almost unbearable torture. Shortly before Dmitri and Purishkevich returned, I went to see him again. He was in a very good temper. "Why are you in such good spirits?" I asked. "Because I've just made a really good deal. Matters will soon come to a head, and it'll be our turn to rejoice." "What is it all about?" I inquired. "What's it all about? What's it all about?" repeated Rasputin mimicking me. "You're afraid of me," he continued, "and that's why you've stopped coming to see me. And yet, I have lots of interesting things to tell you... well, I won't, because you're frightened of me and frightened of everything. If you had more courage, I'd have told you everything." I tried to explain that I was cramming for an examination at the Corps des Pages and that this took up all my time; that was the reason for my apparent neglect. But I could not convince him. "I know, I know... you're afraid, and your parents won't allow you to come here. Your mamma is hand in glove with Elisabeth, isn't she? And they both have but one thought: to send me away from here. They won't succeed, indeed they won't, no one will listen to them; they're much too fond of me at Tsarskoe Selo." "Gregory Efimovich, your behavior at Tsarskoe Selo is quite different from what it is elsewhere. You only talk of God there, and that's why you're believed in and loved." 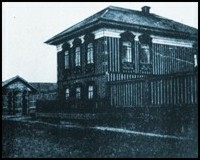 Right: Rasputin's house in Pokorovskoe. "And why shouldn't I talk to them about God, my dear fellow? They are very pious and such talk pleases them... They understand everything, forgive everything and appreciate me. It's not the least use running me down to them, for no matter what is told them they don't believe a word of it. I have often said to them: 'You'll see that I'll be slandered. Remember then how Christ was persecuted. He too suffered for the sake of truth.' They listen to everyone, but they act only according to the dictates of conscience. As for him," continued Rasputin, "whenever he leaves Tsarskoe Selo, he listens to everything that wicked people tell him; I've had a lot of trouble with him lately. I try to make him understand that he must put an end to this butchery. 'All men are brothers,' I tell him. 'Does it matter whether they are French or German?' But I can do nothing with him. He doggedly repeats that he'd be 'ashamed' to sign a peace. And what is there to be ashamed of, when it means the salvation of his brothers? He is about to send more men to their death, thousands of them. That is what he should be ashamed of. She is a good and wise woman. But what does he understand? He hasn't the makings of an emperor. He's just one of God's children. What I fear is that the Grand Duke Nicholas Nicholaevich will make difficulties for us if he hears anything. But thank God, he's far away and he isn't powerful enough to get at us. The Tsarina saw the danger and he was sent as far away as possible to prevent his meddling." "In my opinion," I replied, "it was a great blunder to relieve the Grand Duke of his command. The whole of Russia worships him. The Army should not have been deprived of its beloved chief at a time like this." "Don't give yourself airs, my dear boy. The decision was made because it was necessary, and a very good thing too." Rasputin rose and began striding up and down, muttering. He stopped suddenly rushed up to me and seized my hand. His expression became every strange: "Come with me to the gypsies," he said. "If you'll come, I'll tell you everything, down to the smallest detail." I consented, but at that moment the telephone rang: Rasputin was summoned to Tsarskoe Selo. Taking advantage of his disappointment at not going to see the gypsies with me, I invited him to spend an evening with me soon, at the Moika. He had long wished to meet my wife. Believing her to be in St. Petersburg, and knowing that my parents were in the Crimea, he accepted my invitation. The truth was that Irina was also in the Crimea, but I thought Rasputin would be more likely to accept my invitation if he thought he had a chance of meeting her. Dmitri and Purishkevich returned from the front some days later, and it was agreed that I should invite Rasputin to the Moika on the evening of December 29. He accepted on the understanding that I would come for him myself and take him home afterward. He told me to come up the back stairs and said he would notify the janitor that someone would come for him at midnight. The simple way in which he consented to everything, and even went out of his way to make things easier for me, horrified and surprised me.